As an application engineer I find that there are certain circumstances where having a GUI screen to perform a task is not always possible/practical. There are many times that the client has given me access to the database server but not the application server and there are simply times I am going through upgrade steps and simply don’t have a working environment yet to perform tasks via the front end. This week I needed to perform a SyteLine 7 to SyteLine 9 upgrade that put me in such a situation and I had to get creative to find a workaround. For this customer one of the upgrade steps was to purge out all user scoped versions of forms from SyteLine 7 (not very many folks will spend time going through the process of FormSync and nor would I) however the newest version of FormSync was displaying nondescript errors on the delete operation. 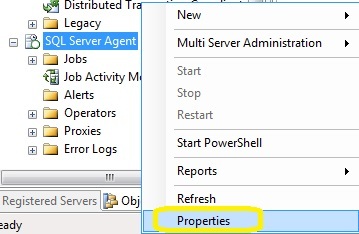 T-SQL to the rescue! On a side note, I want to point out that I absolutely love what Infor has done with new SyteLine Infor CloudSuite and believe whole heartedly that no other company gives as much built in functionality for the cost per license. It is a very stable and mature product and it’s few and far between that I am forced to work around an obstacle from the back end. Secondly, I enjoy writing neat scripts to streamline my interaction with the ERP system and will almost always jump at the opportunity even when my plate is full. 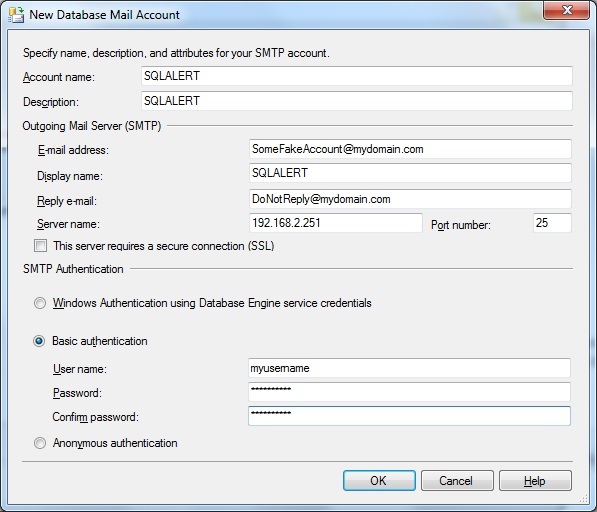 For this task I wanted to whip up something that I could use in the future as part of the SQL cleanup process of removing user scoped forms automatically without having to ever open FormSync. 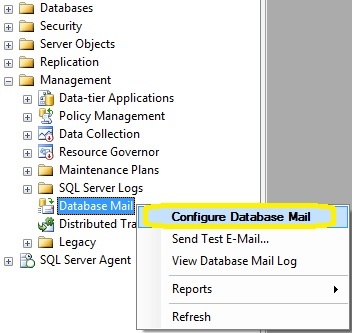 My advice to everyone is to utilize the great tools that Infor provides to maintain your database health however I do realize that there are cases when fixing from the back end is a better route to go (assuming you know what you are doing and the logic is sound). As always I provide this “as is” and is meant for educating and not to replace functionality which is already available via the product. My original thought was to entertain option 3 because it gave a very clear cut look at every single UET that came over with live that wasn’t in there before restore. 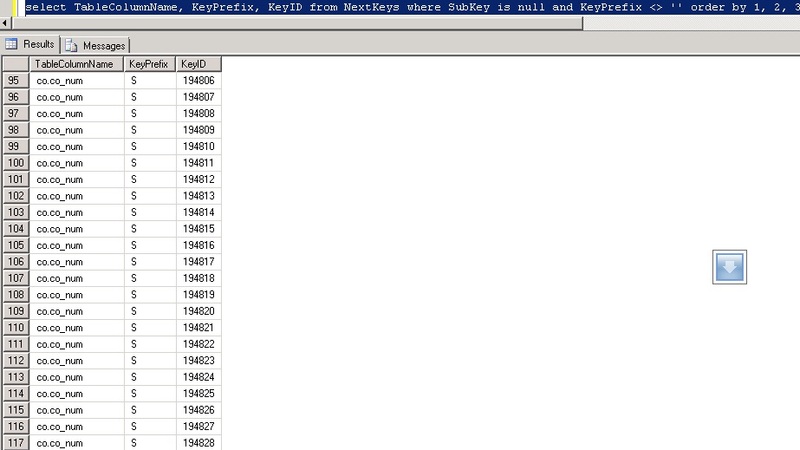 The query was simple and straightforward and returned about 32 values. I then took a look at the table/class relationships and realized very quickly that a high percentage of the UET fields added were on tables that I was pretty sure did not play a role in replication. The last thing I want to do is waste time plucking out these fields when they will not likely throw an error when performing DML on the table. I went back to the drawing board and decided that the best way to focus on UET fields that would affect replication was to focus first on replication rules that were enabled and tie them back to the tables that are part of that replication rule. For example, if Transfer Orders has 15 tables that it uses for replication then I would only want UET fields that have a table/class relationship that would be affected. In the case of this customer, there were a total of 5 UET fields out of 32 that I knew definitively needed to be dropped. As usual I am sharing the code as a “work in progress” and it may or may not function in all environments. I have tested this in Syteline 8 and Syteline 9 (Infor Cloud Suite Industrial). --what UETs are in source that are NOT in TARGET? --the reason we don't compare user_fld directly is because it does not tell us if a replication rule is tied to it that is active. --this method specifically targets the source/destination mismatches when there is a replication rule. --ideal for figuring out UET's to add as well! Its this time of year that my buddies in technology take a break from writing SSRS reports, doing forms development in Mongoose, and messing with ERP/EAM entirely and start thinking about all the November and December once a year releases of some of the finest American Whisky (Bourbon specifically) money can buy. Irish and other whiskeys (think Scotch) are plentiful and available all year long and as long as you have the money, you can likely go to any upscale liquor establishment after you leave the office or manufacturing plant and get a bottle to match your budget. Sadly, the same does not hold true for Bourbon and that’s why the holiday season is special in more ways than one can imagine. Just as everyone was camping out for the new Xbox and the Playstation (these are apparently the hot ticket items at the time of writing this), the lines at the stores waiting for elite Bourbon would make folks think it was a line for the quarterly members only REI gear sale. Folks from all walks of life would camp out for the chance for a bottle but what makes this long line of customers so interesting is that its filled predominantly with folks in the top 5% income bracket. Those who scored with Pappy had bragging rights for at least a year and most folks will drink it slowly enough to make it last until next year’s rations. This isn’t just a top shelf bourbon; this is a private stash only type of bourbon that will only come out if the stakes are high. In all fairness, I must say that this line of Bourbon has been dramatically hyped up to the level of consumer crazy that is rarely seen. There are other releases from the same manufacturer and others that also release this time of year that also never make it to the store shelves because they are bought up the second they arrive. I have no intention of mentioning names but those who follow the releases have a good idea of what other offerings are hot. 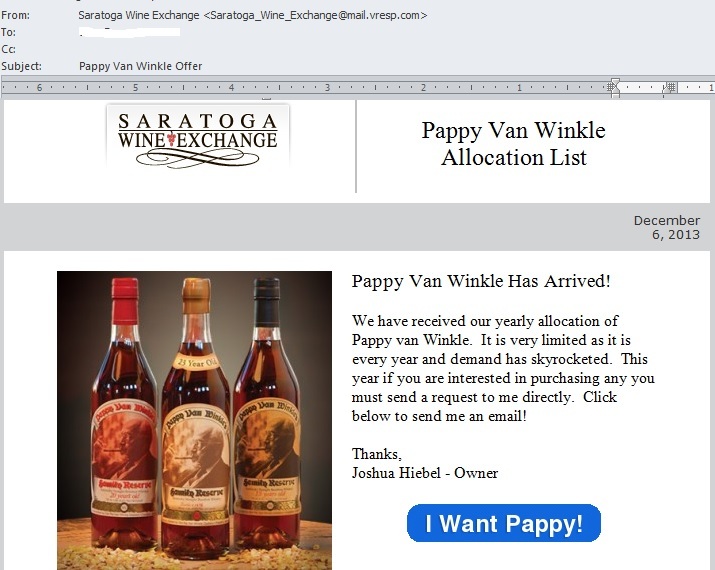 This year I was fairly busy with the release of Syteline 9 and going through a half dozen certifications on it and ION so I was fairly excited when I received an email out of the blue from Josh Hiebel from Saratoga Wine Exchange. While others had left work and were probably eating dinner or relaxing I hear the chime of Outlook telling me I have a new message and the title of it has peaked my interest! Well here I am all excited because I am actually in front of my PC and see the email and immediately click the button to get on what I think is the waitlist. My thought was that I was going to be sitting pretty because I knew I was lightning fast to respond and get my name on that list before it became a wasted effort. After seeing this, I knew that I fell hook line and sinker for the classic bait and switch. Somehow the crafty words on his original email that called it an “Allocation List” was strategically ambiguous enough to put readers in the mindset that this must mean waitlist. 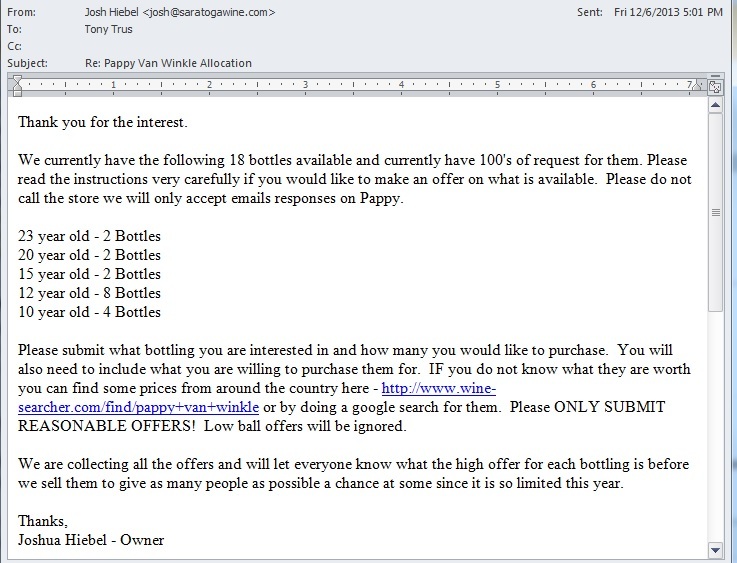 This follow-up email was the official kick off of an all out bidding war campaign where the ultimate winner is Joshua Hiebel and the losers are any potential buyers. This guy not only provides a search engine where you can search up results that only show private individuals selling this product at a huge markup but he does his customers one worse by announcing that he plans to revel the highest offer at the end of the silent bidding war so that people have a chance to pay an even higher premium for the product resulting in more profit to Joshua. Honestly I think folks would get a far better deal on Craigslist because at least you know that you are going to be paying a premium for the coveted spirit but you know that price upfront and either can opt to buy it or simply ignore. Joshua did write me back indicating that he sincerely did not intend to alienate his prior customers but did say that we live in a capitalist society where it would be crazy not to try and get top dollar for his goods. What he does not get is that Buffalo Trace provides this yearly batch as a way to give a great bourbon at a reasonable price while still promoting their brand name for other product lines that are stocked on the shelf year round. Most of the legitimate places selling it also did not mark it up exponentially to score a huge profit because it was also a huge win for the stores because they got people going to their stores and buying other things and also walking away from the transaction feeling like that store is nothing short of awesome. Living in Nashville, there was only one time I felt taken advantage of that badly and it was when there was an artificial gas crisis and fuel stations either didn’t have gas or they were selling it at double the price per gallon prior to the incident. If there is any difference between opportunistic price gouging for gas and having a retailer start a bidding war its certainly very small. They lost a customer that day but it still hasn’t soured my excitement for this time of year. In total I have stocked up on four other brands and the silver lining is that I did end up getting called for a true waitlist and was able to buy a 20 year old bottle for $139 which is just about what the retail price should be for this product. As they say, “All is well that ends well.” Hope you all have a happy and safe holiday season and look forward to some new cool tips, tweaks, and scripts in 2014. Years ago I remember playing with Virtual PC on my laptop and was absolutely amazed with the notion that I could run another operating system just as if it were another Windows application. The speed of the VM images were without a doubt lackluster on my laptop however it gave me hope that one day this would be perfected to a point where business could run multiple servers on one physical box in production. After many years of hard work and development there are some great software packages on the market by VmWare and Citrix/Xen that virtualization has officially become the standard for deployment of production and development servers. This approach has some distinct advantages, and while it used to be the domain of the big boys like Fortune 500 companies with extensive IT resources, it is becoming common among SMBs as well. Advancing technologies in hardware and software has made it more straightforward to achieve virtualization, and it no longer requires a large IT staff to implement and support. There can be some great advantages to using ERP applications like Syteline in a virtual server environment. The concept of server virtualization involves running guests instead of physical machines (computers or servers). In the usual (non-virtual) configuration, your computer or server runs one operating system (OS) that makes your computer work and thus a typical Syteline setup will require typically two to three servers. On a PC, it is probably Window XP or Windows 7, for a Mac it is named according to its revision like OS 9 or OSX. Server operating systems are not as well-known outside the IT industry, but Windows, Apple, and LINUX versions are common for servers as well. In a virtual environment, a single machine has multiple operating systems installed on it, and this is invisible to the operating systems and its users. Each operating system thinks it is operating it own computer – running applications and managing inputs and outputs. Hence, you have several â€œvirtual machinesâ€ operating on one single physical machine. Accomplishing this, however, requires special virtualization software that manages the physical machine allowing the various operating systems to run independently and allocating the computing resources to the various operating systems. This software is called the hypervisor or virtual machine manager (VMM). Using virtualization, organizations can consolidate machines on fewer physical servers. Typically servers are highly underutilized and frequently operate at an average of 15% to 20% capacity. Excess capacity, in the form of expensive physical servers is used to deal with peak application usage that is rarely needed. With a virtual server approach, the same number of virtual servers can exist on much fewer physical servers while providing the same level of functionality and server utilization can be increased to about 80%. Fewer physical servers means less investment in hardware and less ongoing maintenance support. By running several virtual machines on a single server instead, you can set operating system parameters and settings to suit particular applications and purposes without affecting other applications. Every application can have the OS configured for optimal performance, instead of compromised settings so that other applications installed on a server will run. You donâ€™t need to have expensive separate servers for different applications in order to optimize performance. We all know that stringent security settings and security software can cause hassles and unforeseen problems. By running virtual machines you can use high security settings for applications or data that need it reduced security settings for applications or users that do not require more stringent security. This can reduce problems for both users and IT administrators while improving security. A virtual machine can divide up a single server into several virtual servers, however, a more practical approach virtualization provides is converting two or three physical servers into a larger group of virtual servers. Now if a physical server is down due to a hardware failure or maintenance, all of the operating systems, applications, and databases continue to function using the remaining servers. Having an automatic backup improves uptime while preventing the loss of data and the use of critical applications like Syteline. The more complicated the application, the more difficult it can be to implement in a virtual environment. The popular ERP software Syteline can operate in a virtual environment, however some small and medium sized organizations without extensive IT resources hesitate to take advantage of using virtual servers because of the perceived risk. If they have a problem migrating the application to the virtual environment they risk losing the use of a critical application. Having Syteline unavailable for even a short time could be disastrous. If you are interesting in talking with a Syteline expert about virtualization or other Syteline needs, contact Onepax. Syteline ERP is an outstanding software application that empowers users to stay competitive in the manufacturing sector by offering a base product that is very powerful right out of the box and can be augmented by 3rd party modules for even more functionality. Most folks won’t argue that the licenses that enable the product and various other features are not exactly cheap but to Infor’s defense, they spent a fortune in time and money creating, supporting, and enhancing these applications with each version. As a customer, you will want to have a general idea of how many users are truly working on the system to know whether or not you are close to needing to purchase more licenses (or boot out a few users). The System Administration Home screen provides a great bounce point to go into session management so you can see how many “Syteline Trans” licenses are being used but it will not readily provide the full picture or warn you when the licenses pool is dangerously close to being depleted. Customers who opt for NAMED licenses have a bit of an easier time with understanding exactly how many of each module is in use because once the module(s) get assigned in the USERS/User Modules linked form they are instantly depleted. Concurrent licenses are a different story and allow overcommitting of modules to users and only hit their limits when the thresholds of logged in users who are assigned to that given module reach saturation. I really like concurrent module licensing over named because of this added benefit but it does come at a little bit of a premium in cost. Wouldn’t it be nice to have a piece of transact sql (TSQL) code that could be used to gather this? Absolutely! Well the good news is that Infor does provide a stored procedure that will gather that number when called and with a little ingenuity, it can be called in loop to gather and display all modules. The original purpose of this script was to help a customer run it on demand so that they could take a few captures throughout the day and report to management as to how close they were to hitting their limits and also whether or not they should purchase more. I will provide the code below to execute this task on demand and leave it to you guys to tweak it to match your needs. Some thoughts that come to mind is a SQL Agent Job/Alert that takes the output of this script on a polled interval and emails one or more people in IT or management when they are within X number of licenses from saturation. This could also be turned into an event as well or it could employ additional logic to boot users out who have been logged in to the system over a certain timeframe. One question that folks who download this might be wondering is how to tell from this script alone how close they are to their limit. The quick answer to that question is that to the best of my ability I do not believe there is a way from TSQL code to get how many licenses of each module are purchased. The best advice I can give is to open up the form called License Administration and make note of the numbers there. You can optionally edit this script and populate another column in the temp table with those hardcoded values and perhaps add yet another column to calculate licenses left. Again, I left this as a general query so that you can use your imagination and make this into code that is useful given the requirements of your company. If anybody does happy to come up with a way to get the purchased license counts from a query please share with the community.